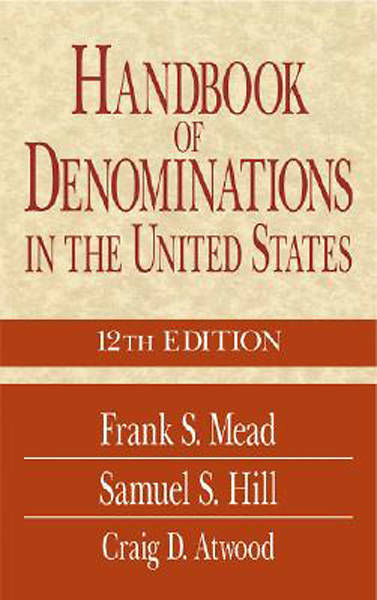 The 12th edition of the Handbook of Denominations attempts to portray some of the depth and breadth of the major religious traditions in the United States. The religious bodies are grouped in family categories of Abrahamic religions, arranged chronologically: Judaism, Christianity, and Islam. The information for each group within these families was provided by the religious organizations themselves and focuses on the doctrines, statistics, and histories of institutions. Such information is valuable for making sense of our culture and our neighbors, although much of the inner life of each denomination is not part of such a presentation. This handbook is a helpful resource for clergy, laity, journalists, and the curious who want to know more about the many facets of religious tradition in the United States today. "For a one-volume text, I have found this work to be outstanding in its scope and depth of information! I have especially enjoyed observing the very interesting denominational changes reflected through the book's several updated editions. I began my study with your Seventh Edition in 1980." Rev. Paul Grustans, Bloomington, MN.